Grey Group Singapore has launched Grey Adventures, an initiative to host start-ups with complimentary skills such as data, marketing tech, e-commerce and creative tech within its local office space. 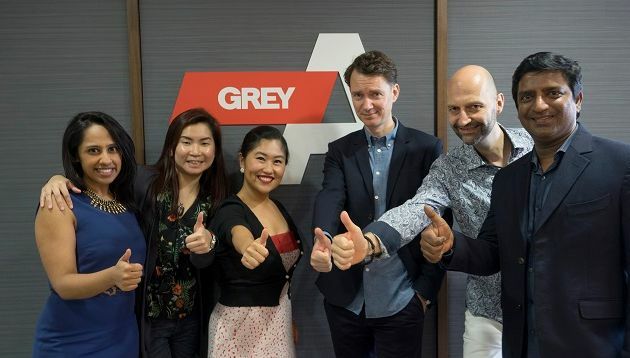 Grey Adventures is headed by Mans Tesch (pictured third from right), chief strategy officer for Grey Group Asia Pacific, who was appointed to the role last January. In an interview with Marketing, Tesch said that the industry is changing so quickly and ideas will come in different shapes and forms through technology. However, it will be “incredibly hard” for agencies to hire individuals with all the necessary skills required that are knowledgeable about every new technology. As a result, Tesch launched Grey Adventures in Singapore to provide a space for entrepreneurs, the agency and its clients to interact and gain a higher level of insight and learning. This is not only done through discussions but also through workshops, hack days and creating prototypes. Among the list of 14 start-ups in the program include, Business IT Systems, Startup Asia Women, Innovator.sg and MediaPop. “It is a value exchange that benefits all parties. In the beginning, start-ups might be tight on cash, and as an agency, we know how hard it is to get projects off the ground. This is especially so when you to convince clients to pay for it up front because it is hard to come to a decision before seeing something tangible,” Tesch said. Hence, Grey Adventures allows clients and start-ups to brainstorm ideas and experiment on them. When asked about the business objectives behind such a collaboration, a spokesperson from Grey said Grey Group Singapore and the start-ups will share the commercial upsides from these new solutions commensurate with each others contribution. The new program also boosts the credibility of the start-ups involved and provide them with access to bigger corporations and clients through Grey Group Singapore, as well as the agency’s brand and creative expertise. According to Tesch, most of Grey Group Singapore’s clients have been introduced to the new program, with some starting on projects or looking at building prototypes, while others have attended workshops with the start-ups. He added that this initiative covers the 23 markets in the Asia Pacific, Middle East and Africa regions, and that clients in countries such as Thailand and Australia also have access to the resources at Grey Adventures in Singapore. “In the long run, hopefully Grey Adventures will think about not just solving advertising problems but also focus on solving business problems. We want Grey Adventures to shape the future of the agency by exploring, testing, learning and seeing the possibilities of creativity through technology,” Tesch said. “Grey Adventures has just launched and this is only the beginning. I see a lot of scope for expansion involving internship students from universities as part of the Grey-start-up collaboration or developing our own innovation lab side-by side, perhaps rolling Grey Adventures out across the region. These are all realistic possibilities and we are heading in that direction,” Nirvik Singh, chairman and CEO, Grey Group, Asia Pacific, Middle East and Africa, said. PARKnSHOP has unveiled the first episode of its Mrs. Wong's Academy TV ad series. ..
Tim Doherty takes the top creative role for Isobar China, taking over from Peter Shen who will depart the agency in May after 10 y.. The credit card company goes green with WWF. ..